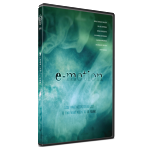 E-Motion is an independently funded and distributed film. To get your hands on a copy, or watch it digitally, choose from one of the following options. See our list of international distributors here or contact info@e-motionthemovie.com for wholesale inquiries. For questions about shipping, subtitles and more see our FAQ page or contact contact us at info@e-motionthemovie.com. "E-Motion will have a very positive impact on the evolution of human consciousness"